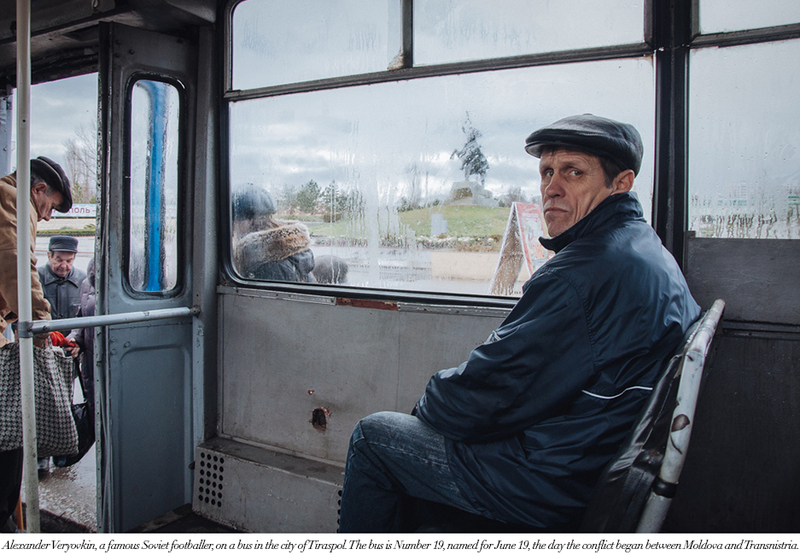 Anton Polyakov tells us a story in pictures of the Republic of Transnistria, a country located between Ukraine and Moldova with no international recognition. After the break up of the Soviet Union, Moldova became an independent state. A small part of that state, Transnistria, was still dominantly Russian and held pro-Russian sentiment. Eventually, Transnistria wanted to break away from Moldova. In 1922, Moldova tried to take over Transnistria, which lead to military conflict between the two states. In peacemaking efforts, Russia brought in their troops to put an end to the conflict. Now, Transnistria is a presidential republic that is legally a part of Moldova but is not recognized by the rest of the world. It has its own legislative authority, border, constitution, flag, anthem, currency and army. In the last 27 years this republic has given birth to many new generations who live in a frozen state, and they have created their own culture and way of living. 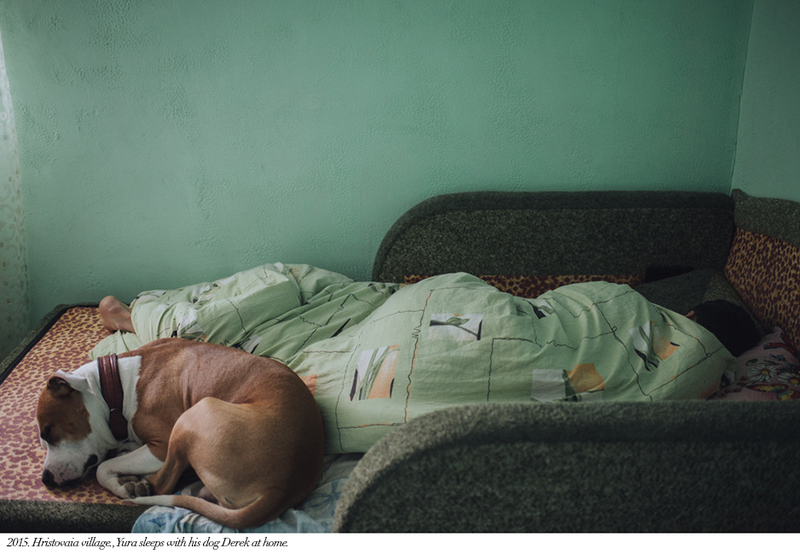 Anton Polyakov is a freelance photographer who was born in Transnistria and has documented the growth, lifestyle and melting pot of cultures that make up his home country. AM: After reading all of your captions and writing I am amazed by your English skills. How did you learn to speak fluent English? Is it something common from the people in your generation? AP: Unfortunately, while my English is poor. My native language is Russian and I think in this language. I am intensively studying English, but my texts are always checked by someone in order to exclude the presence of serious errors. AM: The new generation of Transnistria is not being recognized as citizens in their own country by the other countries. 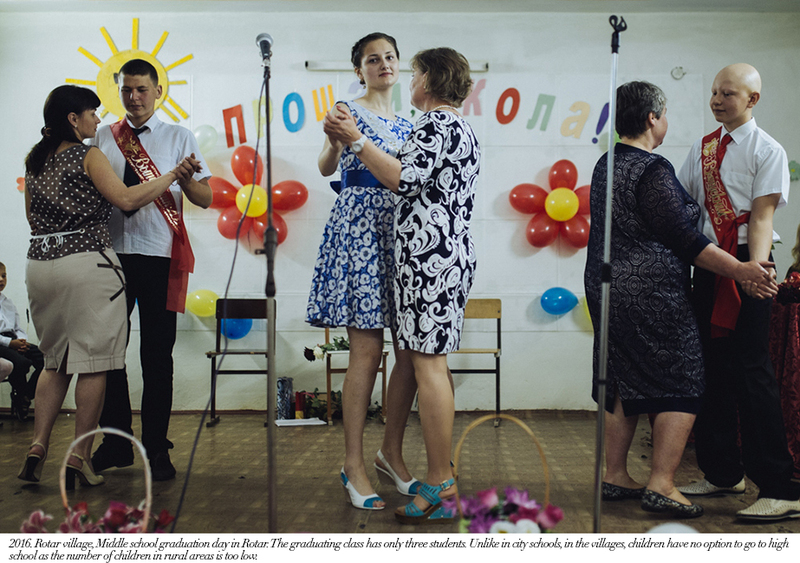 Does this issue build a stronger sense of belonging in Transnistria? 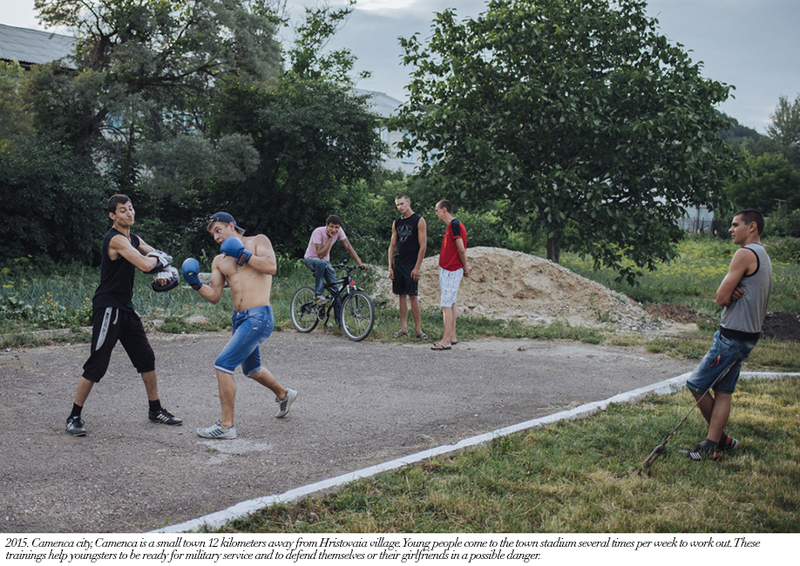 Is there a strong bond of nationalism among the youth in Transnistria? 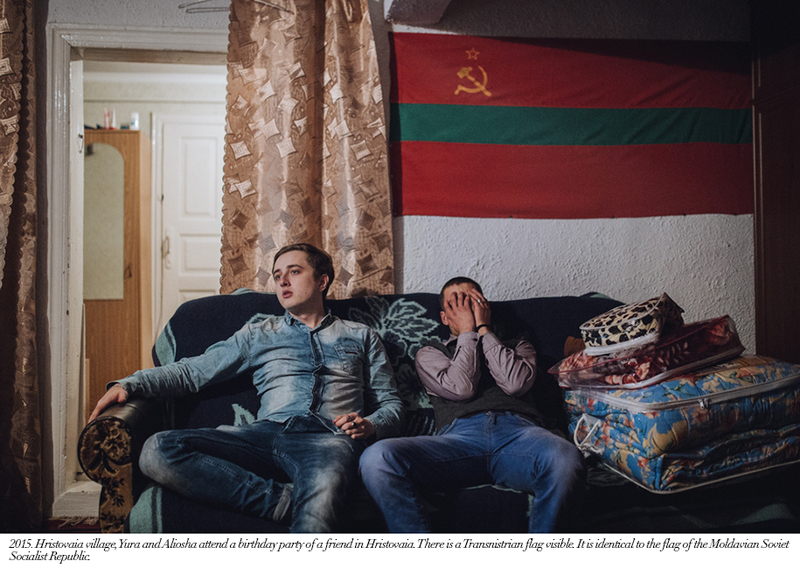 AP: Yes, Transnistria remains an unrecognized state with a frozen military conflict, but people continue to live here, and for them this state really exists, and for me too. Transnistria as a state is only 27 years old and I'm not sure that people feel any special belonging to this place. I think that young people are often attached to this place, because here they grew up, their friends and parents live here. People just want to do their favorite thing, build their future in a safe and stable place. Unfortunately, the state is not always interested in the problems of young people, and not the stable economic situation in this region often causes them to leave from here. AM: You mostly represent rural youth in your work. Is this a political statement to document the slow death of country life? AP: In one of our trips around the republic we met with a group of young kids in the village of Hristovaia, in the north. We liked them very much and started to visit often. Every time we returned we’d meet new people, from other than Hristovaia as well. So we decided to concentrate on these kids, their relationships with each other, and with the place they live in. The first thing we thought during our first visit was “What a beautiful place these kids live in!” We were made curious to learn more about their daily lives, the challenges they face, and how being so close to nature affected their lives and worldview. For young people from the rural areas it’s especially difficult to leave their homes and adapt to living in a city. A popular option among the boys to leave Transnistria is by joining the army and then continue their career in the military. Frankly speaking, I do not think that our with Anya project (Mahala) can somehow change the situation of the extinction of villages. 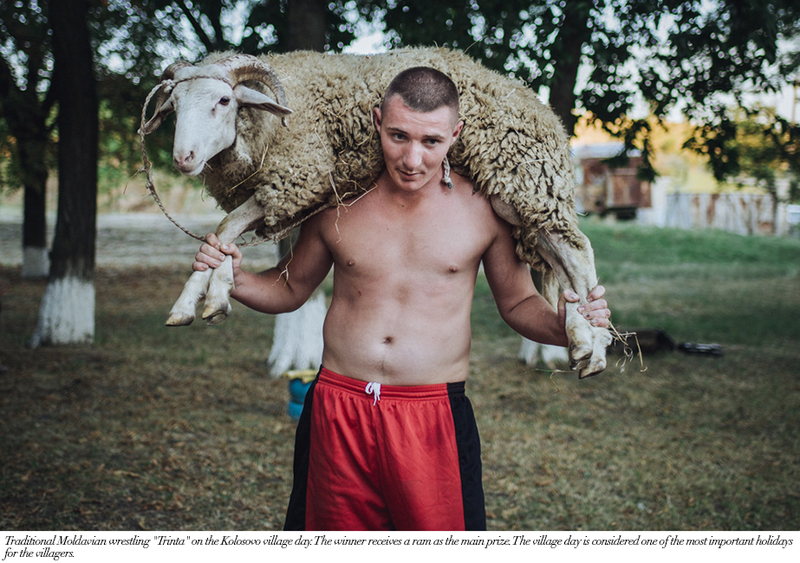 We just wanted to document this part of our reality and show also not a typical part of the Transnistrian life. I can not say that I'm only interested in rural youth. 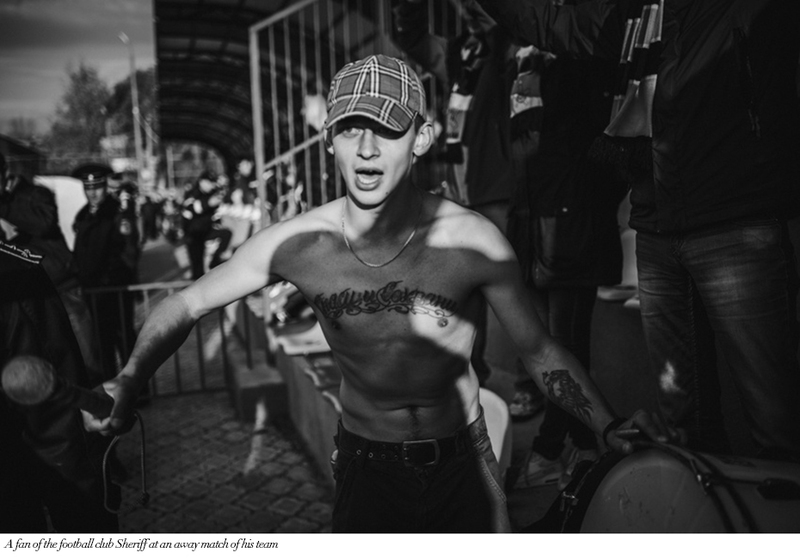 I continue to make a story about the underground youth of Transnistria. AM: You mention Transnistria accepts money assistance from Russia and Europe. Is Transnistria in need of help? Are citizens covered by social security? AP: Russia has been providing constant financial support to Transnistria and many people perceive it as the peacekeeping force of the region. Russian soldiers came in 1992 to resolve the Transnistrian War and have been stationed here ever since. Russian TV channels are broadcast here, kids in schools learn from Russian textbooks, and many pensioners even receive Russian pension. If you look at the results of the independence referendum from 2006, more than 90% of the population voted for independence and subsequent accession to Russia. 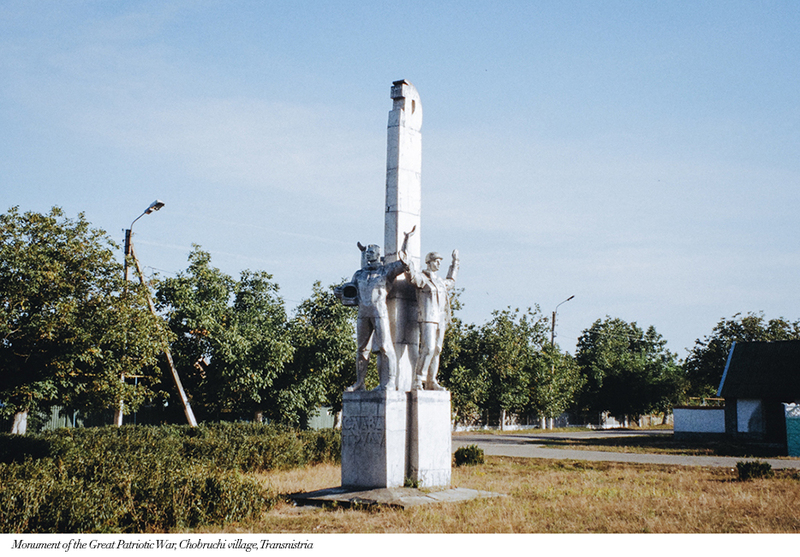 Transnistria is not perceived as a self-sufficient state. Unfortunately, we have not learned to live independently in the 27 years of the existence of the republic. We are still largely dependent on support from Russia, which is the main reason why society does not have a chance to develop and why the region is still not an independent political player. Transnistria is a hostage of the Russian political situation and its strategy, which is why many do not take Transnistria seriously. 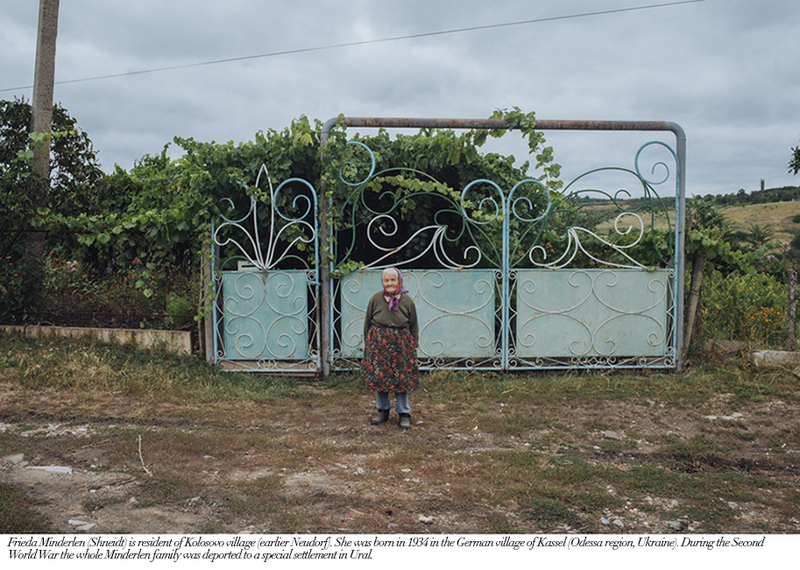 AM: I read there is a unique group of Kolkhoz (collective farms) left. Do you believe this is a this a symbol of soviet remains? Does it resemble nostalgia of the Soviet Union for some or is this just a practical way of farming? AP: Yes, we can say that the collective farms are a symbol of the Soviet Union. 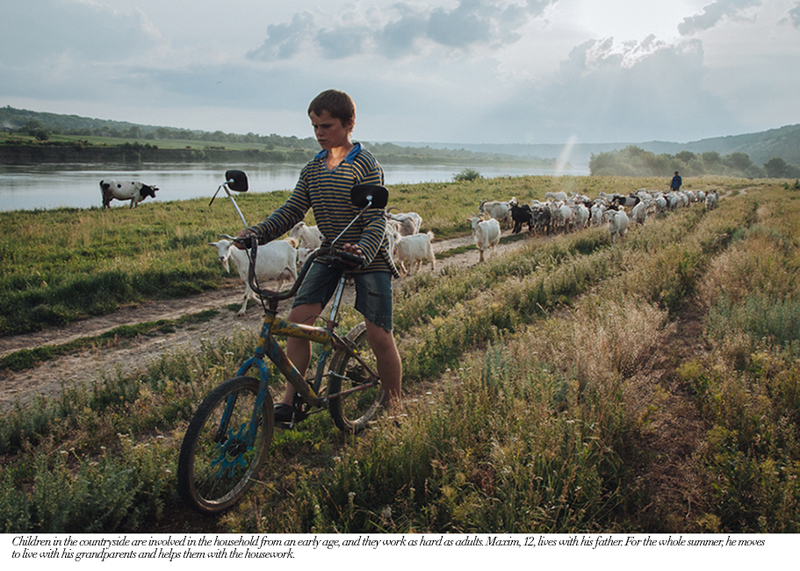 On the territory of Transnistria, there remains one collective farm. 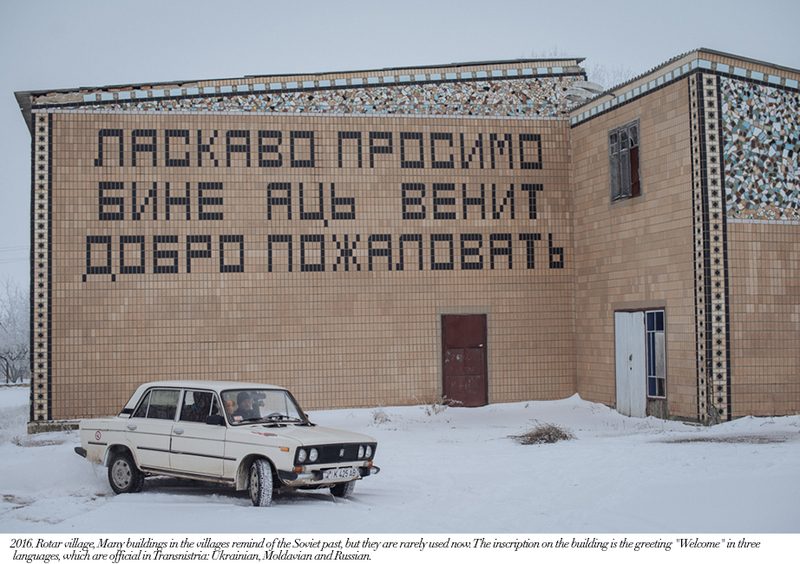 After the collapse of the Soviet Union, collective farms in the countryside were shut down, so people lost their jobs and began to move massively to the cities. For them, living in the Soviet Union was the happiest time of their lives. The countryside is becoming desolated and depopulated, and you’ll find only children and old people there. 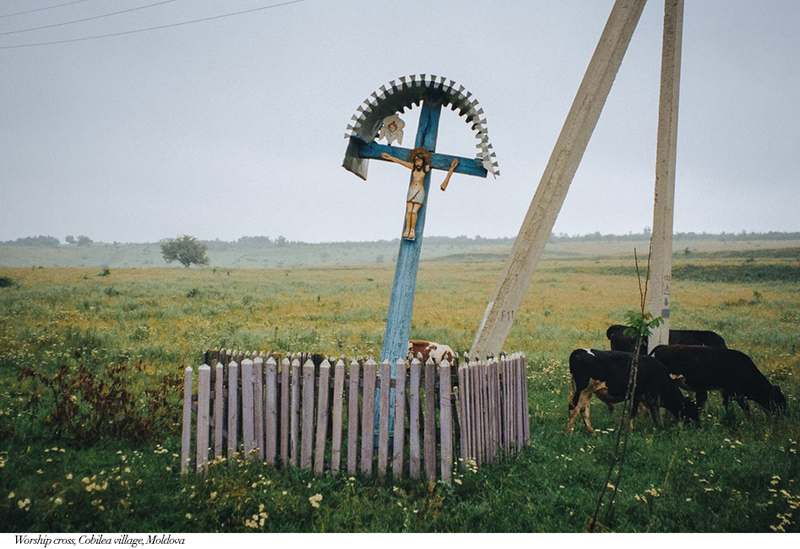 AM: From your images I see that some farmers are still haymaking, is this a common practice or are some parts of the countryside industrialized? Are there such things as communal farms or do most farmer’s own their piece of land and livestock. AP: Basically in rural areas people have their own farm. There is almost no work in villages and people are often forced to create conditions for themselves to survive. Often people turn with help to their neighbors, for example, to mow the grass for their livestock. AM: Do people in some remote parts of the country use horse more than cars? AP: Now people in villages buy motoblocks. It's pretty cheap. To keep a horse became more expensive than to buy a cheap motoblock. But there are still people who plow their gardens with the help of a horse. AM: Transnistria is a melting pot of Ukraine, Germany, Moldova Russia, Armenians, Polish, Bulgarians. Each of these communities have different cultural practices. 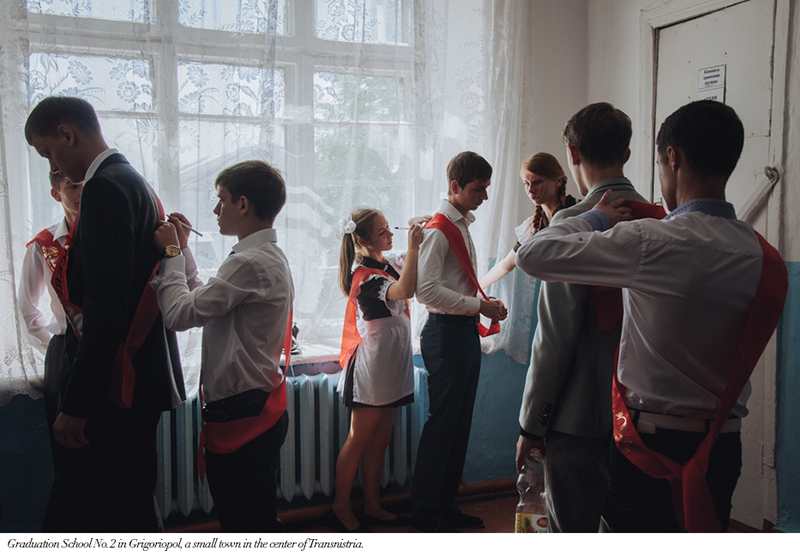 How do citizens of Transnistria find the a sense of belonging if one country has so many ethnic backgrounds? Does language play a role in this? AP: As a representative of the younger generation of Transnistrians, I am concerned about the issue of national identification. Historically, many ethnic groups live in Transnistria (Russians, Moldovans, Ukrainians, Bulgarians, Poles, etc.) Speaking about myself, my mother came from Siberia, and my father was born in a village in Ukraine, I was born in a new country, and at the age of 16 I received a Transnistrian passport. People have learned to exist together in such a small territory and not to be hostile towards each other. I think that this is the uniqueness of Transnistria, that there are so many nationalities living in such a small territory, and at the same time they are all very friendly towards each other. On the territory of Transnistria, three official languages (Russian, Moldovan and Ukrainian) But the language of interethnic communication is Russian. Looking at the results of the referendum on independence in 2006, more than 90 percent of the population voted for independence and subsequent accession to Russia. I think that the situation has changed little since then, and most of the pro-Russian citizens still remain here. AM: I know that you mentioned that most people would like a future integration in Russia? Why is this such a prevalent feeling when most of the ethnicities are European rooted? AP: Most people identify with Russia. Transnistria has been a primarily Russian-speaking territory since the 18th century. Russia supports security in the region and helps financially. Most people speak Russian, this is also a very big factor. There are so many factors why people choose Russia. But now the situation is changing little by little and more people are beginning to move to Europe, for example, Poland and other countries of the European Union. 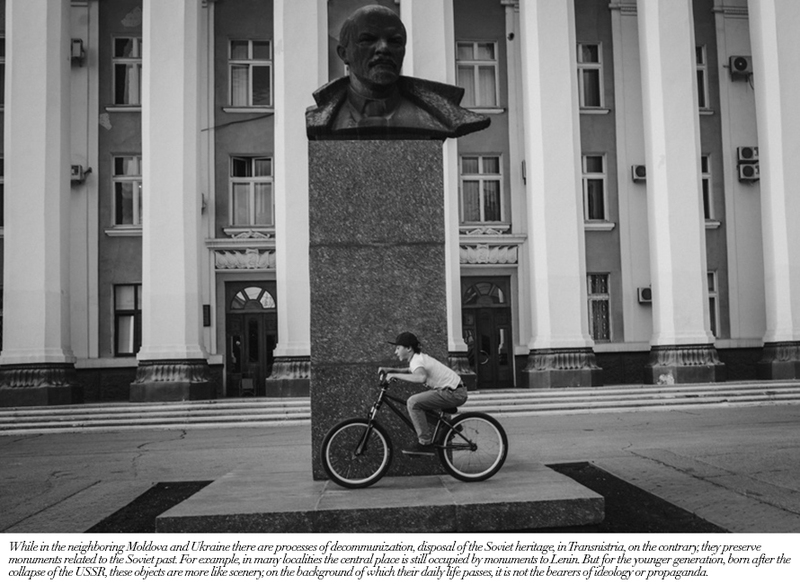 AM: What are the youth in Transnistria influenced by? What are the most popular music scenes and cultural scenes like? 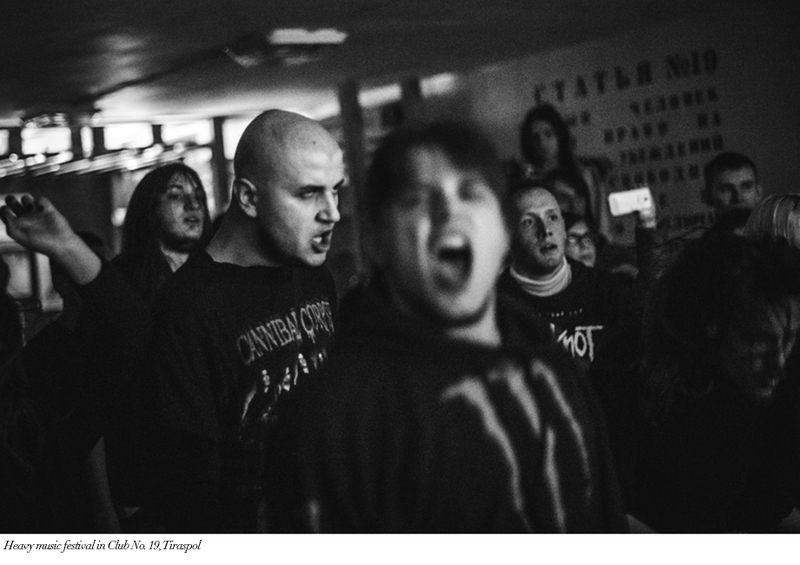 AP: There is lack of cultural life for youth in Transnistria, contemporary exhibitions or concerts are quite rare phenomenon for Transnistria. If you want to make a movie or photography, you should rely on yourself and don’t wait for any support. There are enthusiastic persons who are trying to create something in different fields and are generating small communities around themselves. This is usually a separate group of youngsters who play metal music or do hip hop. There is a platform Club 19 in Tiraspol, where periodically happen some festivals, concerts of foreign music bands. Sometimes an abandoned building such as a Soviet poligraphic factory in the city of Bender, stadium’s fan sector or just regular apartments can be a platform for youth events. AM: You have mentioned that there is a feeling of a generation torn between a huge country that doesn’t exist anymore (former USSR) and one that does not exist for the rest of the world (Transnistria). Thanks to the invention of the internet, people from most any country can easily get in touch with people on the other side of the planet. Do young Transnistrians have this curiosity? Is there a sentiment of frustration for not belonging to a world that doesn’t recognize them? What role has the internet played for knowledge of the outside world? AP: I often travel and can compare life in different places with Transnistrian one. It seems to me that the post-Soviet countries have many similarities, young people think the same way, this is because of the Internet, which breaks the borders between countries. 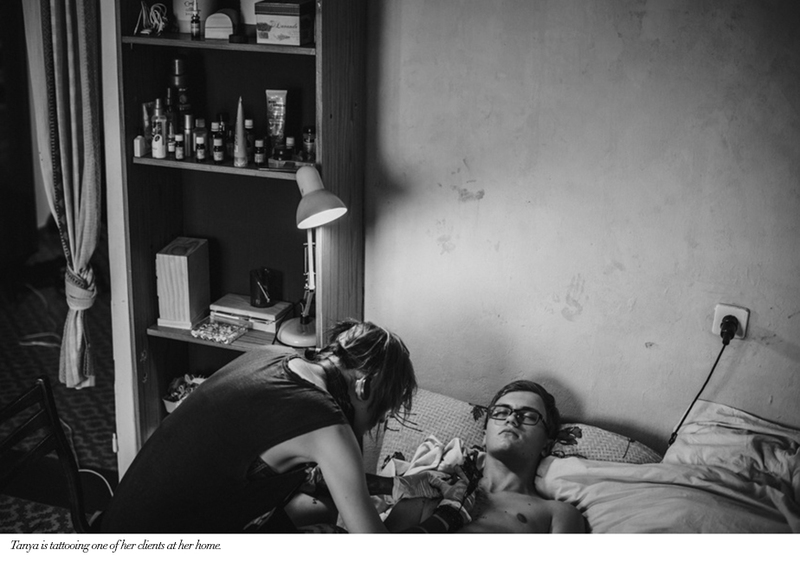 There are not so many opportunities for young people who decide to stay here. If you stay in Transnistria, the most common and stable option is to start military service and continue to work there getting the contract, or to get a job in a supermarket. I think the similar situation exists in many other small cities in Russia, Moldova or Ukraine. Young people also go to large cities, where there are more opportunities to realize themselves, to find friends for their own interests, where there is opportunity to develop and work. Through the Internet every young man can find a job for himself, learn about today’s subcultures and can adapt this knowledge in his own city. Young people create their own communities and places of leisure on their own, where they can develop their interests; they do not need a state for it, because state provides only archaic forms. Thanks to the Internet and global culture, active youth becomes pioneers (in the sense of "pioneers") in new fields of modern urban culture for Transnistria. 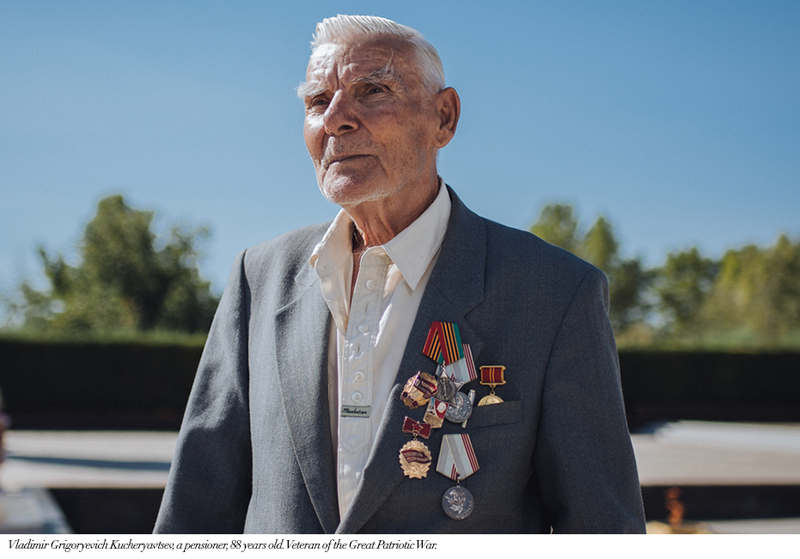 People of the older generation who grew up in Soviet times, are mostly nostalgic for the Soviet past. That time is often associated with the most happy years in their lives. Young people do not have a problem with communication with the outside world and of course the Internet helps them. They can always go to Europe, for example, to study or work. Adult generation is a little more difficult to adapt. AM: Transnistria seems to have very strong family bond. Are there generally strict family rules or pressures in the cities and countryside? Could you describe the rules that take place in a family dynamic? AP: Yes, people are very attached to their family and relatives. And often if someone leaves the country, then many relatives move next. I think that this is a normal situation, people are used to living together they are so comfortable. Each family has some special traditions, which often depend on belonging to a certain culture or religion. But there are common for all holidays, for example a birthday or a new year, which is celebrated by everyone. Rural ties are more solid, but I think it's because people are used to living together and they have to communicate and help each other to survive. AM: What is the legal age in Transnistria, and what is the age where youth can live how ever they choose? AP: Age of majority is 18 years. 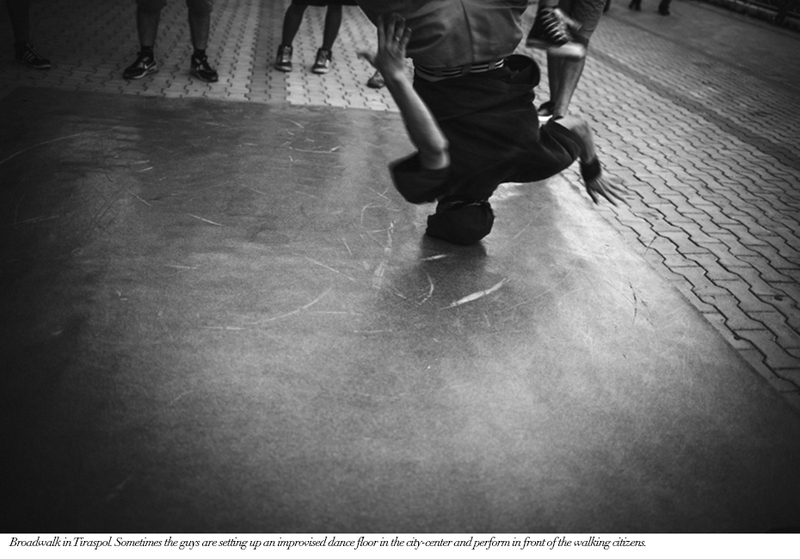 At this age, young people can choose what to do next. 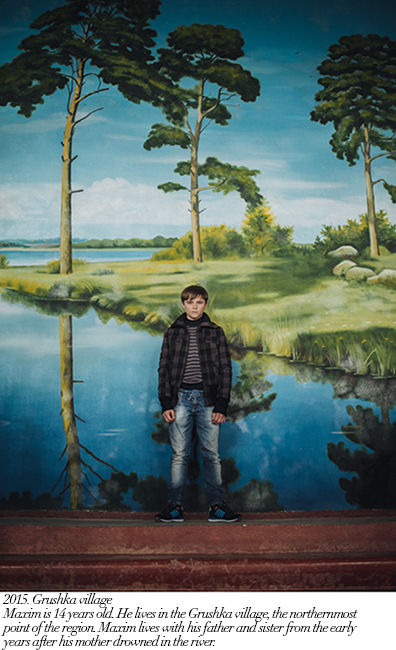 AM: It seems many young people desire to escape, do most of them dream of traveling abroad? In that case as the passports are only in use inside Transnistria, what passports can they use to cross borders? 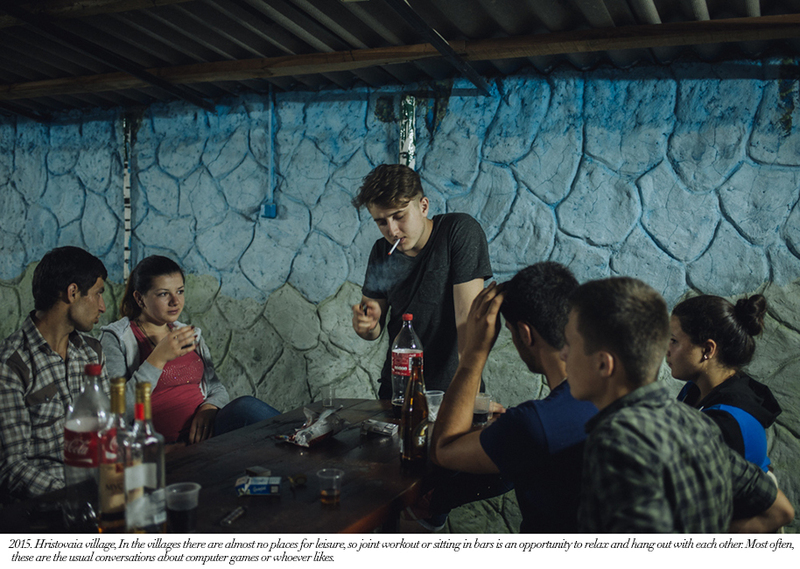 AP: At a conscious age, in high school, I was planning to study abroad and leave Transnistria as almost all of my friends do. This regularly happens with youth from Transnistrian cities. In high school, many students already know where they continue their studies and where they will work and live. Mainly they go to Russia or neighboring Moldova or Ukraine. But after school I stayed in Transnistria and graduated from the faculty of Geography of the Transnistrian University. Then just like many of my peers, I left to work in Russia, and now I came back to Transnistria and I can say that now I am based here: I spend most of my life and work with photography. I realized that nothing disturbs me to live here and if I need I can go to other countries for work or just to find inspiration in other cultures, the problem can appear in financial obstacles. Almost every inhabitant of the Transnistrian region has several passports. As a rule, in addition to the Transnistrian passport, everyone has a Moldovan and Russian passport. According to the Moldovan passport, for example, I can travel to Europe, and on the Russian passport to the countries of the former Soviet Union, except Ukraine. 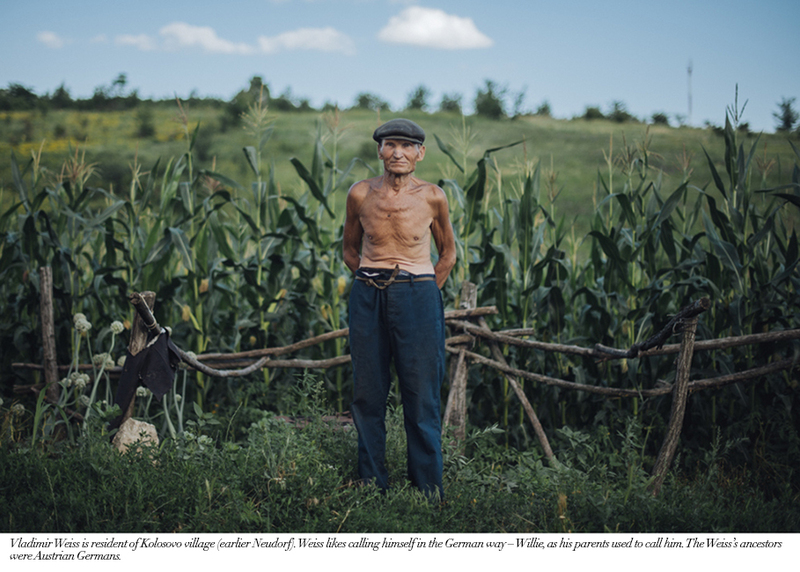 The Transnistrian passport is mostly not recognized anywhere and is used for internal needs. AM: What is the importance of army? What is the youth’s opinion of the army? Is it a compromising option for the youth? 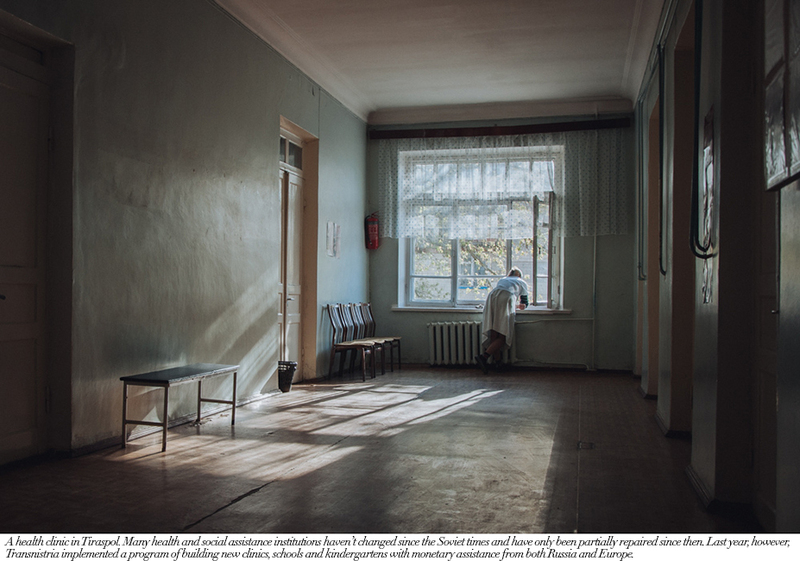 AP: Often military service is one of the few options to stay in Transnistria and have a stable future, but not all this option can be approached.